*Based on Android system, equipped with WiFi and Bluetooth. *IP67 rating allowing F6plus against dust, water ,shock and bumps. *Fast booth-up and multitasking . *Extensive vehicle coverage: Over more than 200 Asian, American and European vehicles. 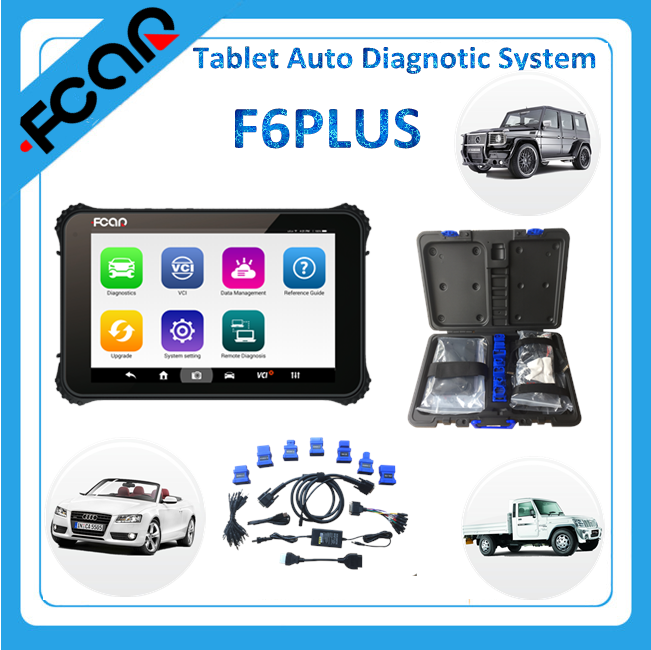 *Compatible with latest 2015/2016/2017 models. 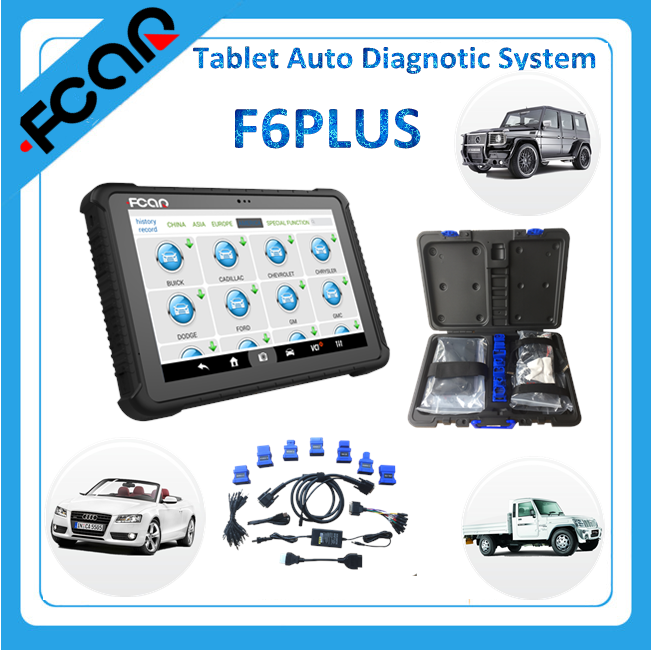 *Compatible with both OBDI and OBDII cars,LCV,SUVs,Vans sold worldwide. *Indentifies vehicles quickly and easily by automatic VIN acquisition. *Support powertrain,chassis,engine,transmission,airbags,SRS,immobilizer and body systems ect. *Support quick test for most vehicles. *Support live data in text, graph and gauge format. *Support key coding/long coding for some vehicles. *Records and playback data logs for offline analysis. *Instant support avaible from FCAR technical team by TeamViewer remote control. *With cloud service, diagram wiring, technical information, diagnostic solutions and maintenance services. *Support multimedia entertainment, instant messaging and data sharing. *Support remote support and diagnosis. *Powerful basic and special functions for all vehicles. More Localized vehicles ,please kindly contact us.